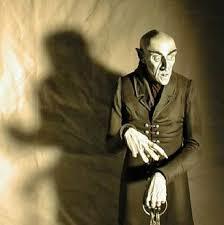 Liberal Bohemian: Look for vampires today! Each year on this night (according to ancient legend), vampires in Rumania* are believed to rise up from their graves ater a year-long sleep and walk the Earth in search of human blood. Garlic and crucifixes are hung on doors and windows for protection. In ancient Egypt, the Feast of Hathor as Sekhmet was held each year on this day. It honored the lion-headed goddess of battle, who was also the consort of the moon-god Ptah. Conversely speaking, Vampires are not always people returning from the dead, but sometimes are merely living sorcerers out for a good time. *English uses both forms, Rumanian and Romanian, to denote the Romance-speaking population in the South-Eastern Europe north of the Danube, which was traditionally referred as Vlachs (or Wallachians). 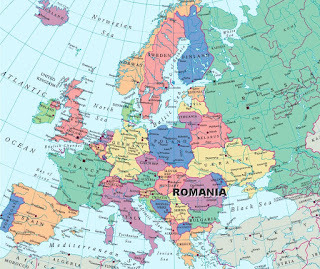 Both forms were adopted by the mid 19th century when the principalities of Wallachia and Moldova were unified to form a new state, Rumania or Romania. The forms Rumania and Rumanian were prevailing till the second half of the 20th century, when the forms with "o" gradually became more popular.